Another classroom demo? Yes, as are most of my large oval cabs. 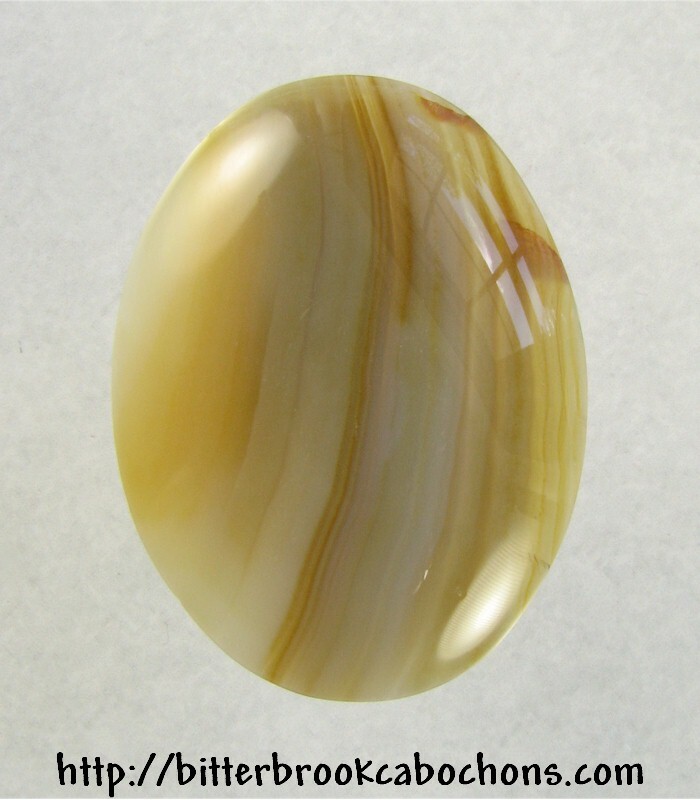 Plain old agate here... Saw marks on the back. Dimensions: 39.5mm x 30mm x 5.5mm. Weight: 46.80 carats.